The European Commission is to create volunteering opportunities for 10,000 people to assist in humanitarian operations around the world. The funds will cover the costs of training and the deployment of up to 10,000 volunteers as well as capacity building in regions affected by disasters. Once volunteers have undergone training and passed examinations, they will form a Europe-wide network of volunteers ready to be deployed to countries hit by natural disasters. A further 10,000 people will be recruited to act as online volunteers and provide support such as translation work. The funding will also be used to train 7,000 local staff and volunteers of organisations in countries hit by disasters. The initiative will be open to EU residents aged 18 and over. 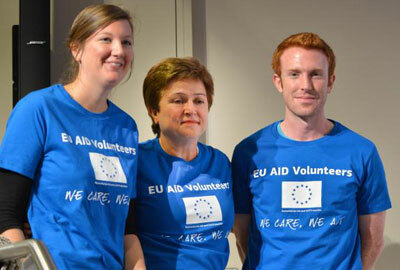 In a statement, the European Commission said: "Most existing volunteer schemes have a national focus; EU Aid Volunteers will bring volunteers and organisations from different countries to work together in common projects."